Take a few moments to celebrate the greatest gift we have ever received. Our church family will be celebrating Christmas in worship together at 10:30 am on December 25th. 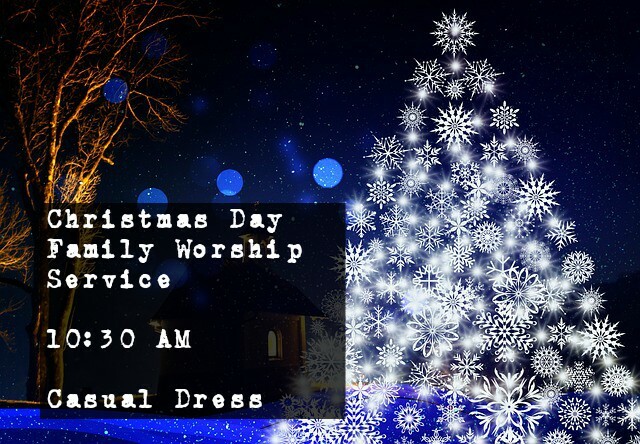 The dress is casual and it will be a great time for us to worship Jesus as our greatest gift. Bring your family and join us for the celebration. Wednesday, December 14th 6 PM In the FLC. The church will provide fried chicken and drinks. Please bring a pot-luck dish or dishes of your choice.